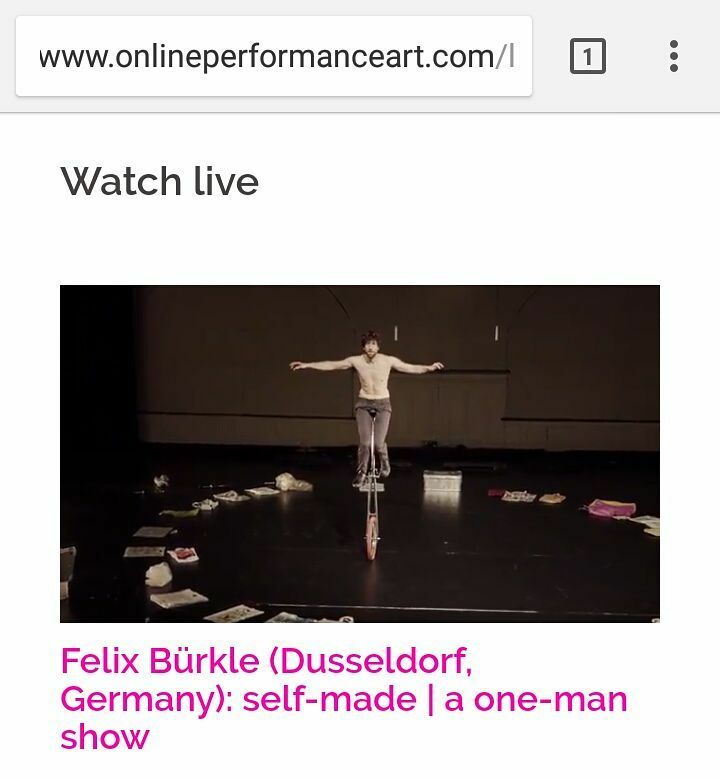 DESCRIPTION: “What made me into who I am?”, that is the question Düsseldorf choreographer Felix Bürkle asks in his new production. With his roots in circus as well as in contemporary dance, he strides along his own biography and along the expressive modes of the genre as well. He delivers bag loads of experience, collected around the world, for his narration on living and learning on stage. In this, he does not only juggle torches and diabolos, he also connects movements and scenes from previous works. So, the staging becomes a balancing act between intimate self-reflection, sprinkled with a hint of irony and a performance in front of an audience that is subtly mirrored. Felix Bürkle remains surprised, time and again, by the resonant spaces provided by movement, objects and instruments – leading into new worlds via live recordings played by Düsseldorf musician and sound designer Michio Woirgardt. In consequence, this solo encompasses both, human and their environment, the moving object as well as the body in movement. Yet, with his skilful genre-crossing, he constantly blurs the lines between this otherwise strictly separated distribution.